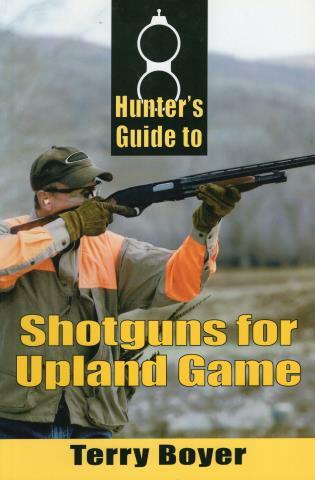 Hunter's Guide to Shotguns for Upland Game is a valuable reference that educates hunters about how to find the perfect shotgun to match their needs. The book takes a pragmatic approach for the average hunter looking to get the most bang for his buck and shows that hunters don't have to break the bank to buy a versatile shotgun. It discusses the best guns for various species of upland game and examines the all-important criteria for choosing a shotgun: the hunter's physique, preferred action type and gauge, gun features, price range, whether or not he's hunting with dogs, and other possible uses for the gun such as deer hunting or clay target games. Profiles of major manufacturers and models showcase a wide variety of shotguns to give readers a good idea of the relative strengths and weaknesses of available products. Once a hunter has selected a shotgun, he will discover how to use custom loads and make modifications to personalize his gun and improve its performance. Terry Boyer recently retired from a thirty-year career in law enforcement and is now a full-time freelance writer focusing on shotgun sports. He lives in Lubbock, Texas.